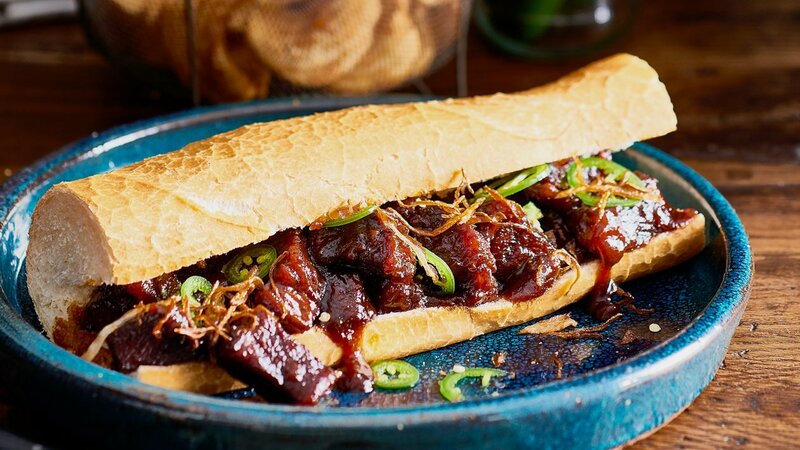 This rib sub sandwich is great for an all-day dining menu. Try it out, your guests are bound to get hooked! Place the rib in a large oven dish, combine with the 1/2 Chipotle BBQ sauce and other braising liquid, cover and cook in a preheated oven for 4 hours at 140C. Combine remaining chipotle BBQ sauce and whiskey to diced beef and heat through. Use bagel & some fried egg for a breakfast option.